The more I learn about Ben Franklin, the deeper my admiration and appreciation grow. He had so many interests. His reflection of self-value and accountability was a core principle of his life. In this article from Medium, it discusses why Franklin left such an indelible legacy on our history. 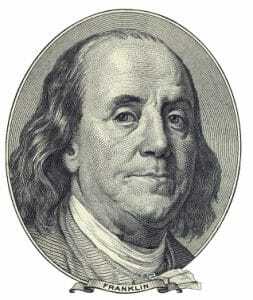 Benjamin Franklin is best known as one of the founding fathers of the United States. He defended the American cause, and helped write the United States Constitution and Declaration of Independence. But Franklin wasn’t just a politician. He was a polymath. As a scientist and inventor, Benjamin Franklin was the father of electricity. His fascination turned to obsession when he accidentally shocked himself, which led him to experiment in earnest. This would culminate in his invention of the lightning rod, which continues to serve us well today. Outside the realm of science, Franklin contributed to literature as well. He was a leading author, newspaper publisher and an essayist. His works included Poor Richard’s Almanack, as well as his own autobiography. Despite being born into a poor family and only receiving two years of formal schooling, Franklin’s contributions are astounding. He was the very definition of the self-made man. One factor thought to have contributed to Franklin’s success was his habit of keeping a journal. Franklin kept multiple journals throughout his life, and used them in ways which most of us wouldn’t envisaged. While the benefits of journaling are well-documented today, it certainly wasn’t the case back then. That set Franklin apart from the other brilliant men of his time.